The European Union Is Breaking Apart – What Happens Next? 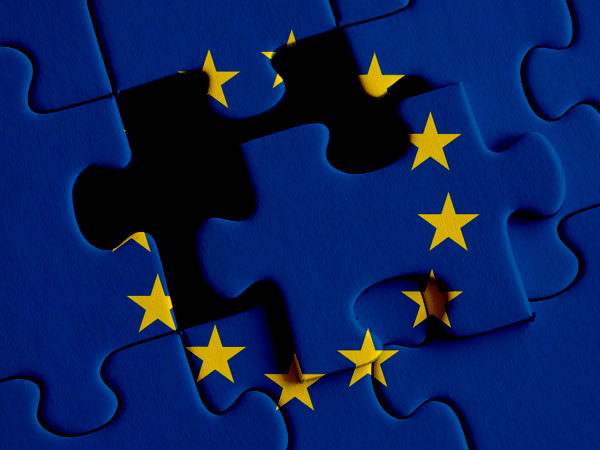 Home » The European Union Is Breaking Apart – What Happens Next? In early 2016 I predicted that the referendum for the “Brexit”, the British push to leave the EU, would be successful despite the overwhelming assumptions on all sides that it would fail. I based this prediction on a number of factors. First, there was a strange but highly coordinated program of forced immigration standards that threatened the very balance of the EU project. The mass introduction of immigrants from Muslim nations might seem to some as suicidal. Socialist societies built on integral welfare systems inviting millions of people in to collect handouts they never contributed taxes to? Countries that claim to still have some sense of western ideals and principles of “democracy” allowing the invasion of a culture built on theocratic totalitarianism? This was insanity. Why were EU elitists and bureaucrats allowing this to happen? Why were they staging the very conditions by which their precious supranational union could be undermined? If you look at it as merely a matter of hubris or stupidity, then it makes sense in a very irrational way. But, what if the destabilization of Europe was deliberate? The injection of millions of migrants who had no intention to integrate into European culture smells strongly of the Cloward-Piven Strategy. Meaning, it seems to me that the elites of Europe are following a playbook designed to break down their own culture and replace it with something else. Second, the public backlash against EU policies that led to the immigration deluge was far reaching and highly visible. After watching pro-Brexit rallies packed with tens of thousands of Brits as well as Brexit debates in which the crowd reaction was overwhelmingly in favor of leaving the EU, it became clear that the popular tide had turned. Third, economic uncertainties and imbalances have left many EU nations with debt obligations that can never be reduced. It should come as no surprise that the countries with the highest debt to GDP ratios are now moving towards more “populist” governments. Spain’s debt to GDP ratio has been hovering around 100% since 2013. Even with manipulated stats, Spain’s unemployment rate still sits at 16%. Italy’s debt to GDP ratio has been holding at around 130% since 2013 with an official unemployment rate of around 10%. These two governments in particular have exploded onto news feeds recently as the outcome of their elections shocked the mainstream. The Spanish parliament has voted to oust the longstanding People’s Party leader and Prime Minister Mariano Rajoy. Rajoy had become notorious in the past couple of years for his government’s aggressive treatment of the Catalan people during their movement to separate from the Spanish economy and become autonomous. While there has been an odd propaganda campaign on the web to paint the Catalans as “communists” that need to be crushed, from my experience, the side that uses the most vicious methods and abuses of power is usually the side that is wrong. Apparently the Spanish parliament and many Spanish citizens agree because Rajoy has been given the boot. Spain’s sudden political shift has been blamed on the rise of populism in Europe. Italy’s rather bewildering governmental process has now finally concluded with the formation of a new coalition between the Lega and Five Star Movement parties, both of which are considered “populist” in their principles. Already there has been talk of a potential “Italexit” event, and this is a narrative you are going to see more and more of the rest of this year as nationalism gains ground in other smaller countries like Slovenia and the Czech Republic. The idea that “populism”, i.e. nationalism, is taking hold of Europe has been carefully crafted since before the Brexit referendum. I witnessed this narrative being planted early on, which was another reason why I believed the Brexit vote would pass. However, the narrative does not stop there. Various globalists publications have been arguing since before Brexit that populism was going to cause “crisis” in Europe and in global markets. Rather prophetic on their part, unless you consider that the entire scenario is theatrical. My Theory: The European Union was always meant to be a beta test for something more. Namely, a global centralized economic authority and global bureaucracy. But even in Europe, nationalistic pride and the separation of cultures remains an obstacle despite decades of forced cultural homogenization. Therefore, more violent methods are needed to “shock” the citizenry out of a desire for national and cultural identity. The Cloward-Piven move of mass immigration will cause chaos in Europe for many years to come, but it also pushes the European people to embrace so-called populism at a time when the EU is on the verge of economic disaster anyway due to globalist policies. Do you see the advantage for the globalists here? To put it simply, globalists have been well aware of the rise of anti-globalist sentiments in Europe and America. Instead of trying to suppress these movements any longer, they are allowing populists to gain power. In some ways they are even encouraging the development. But what does this accomplish? For one, if the globalists are successful in diverting blame for economic collapse to populists, then the idea of nationalism for generations to come will be treated as “barbaric” and poisonous. The globalists can then reintroduce the notion of supranationalism on a planetary scale rather than just in Europe. As I mentioned in the beginning of this article, the more things change, the more they stay the same. Two, the use of crisis as a tool for social change is rather common. If globalists can’t convince the public that their ideas are good, then they can always destroy the current framework until future generations forget that there was ever an alternative way to think or live. The next step in this process would be for a partial breakup of the EU, with referendums similar to the Brexit being promoted in Italy, Spain, and other countries. The European Central Bank will refuse to step in to mitigate any economic damage, or to make a deal with countries like Italy that require debt consolidation. Eventually, the EU will be reduced to smaller factions, with major economies like France and Germany linking up with China (as they have been doing already) to form the foundation of a global bilateral currency system. Globalist institutions like the IMF and BIS will start to move to the forefront of the economic debate as the public demands some sort of solution to the accelerating crisis. All problems and consequences will be blamed on nationalism, populism, conservatism etc. Central banks and international banks will attempt to get away clean as they shift their wealth to the East. This is not to say that their plan will prevail. I have always held the view that the globalists overestimate their ability to predict and control radical outcomes and reactions. But even if they fail, the results of their attempts at social engineering on a worldwide scale will likely still be disastrous. If you examine how eastern nations are preparing for this fiscal threat, gold accumulation is a clear and obvious measure. The last great calamity in Europe during WWII and the rise of fascism resulted in destruction of untold wealth. The people who invested in hard assets like precious metals stayed ahead of the tidal wave and maintained the means to survive. If it worked for Europeans in that era, and if it works for the East today, then it will probably work for you as well.